PennsylvAsia: Japanese electronic music artist Cornelius (コーネリアス) to play in Pittsburgh in March. 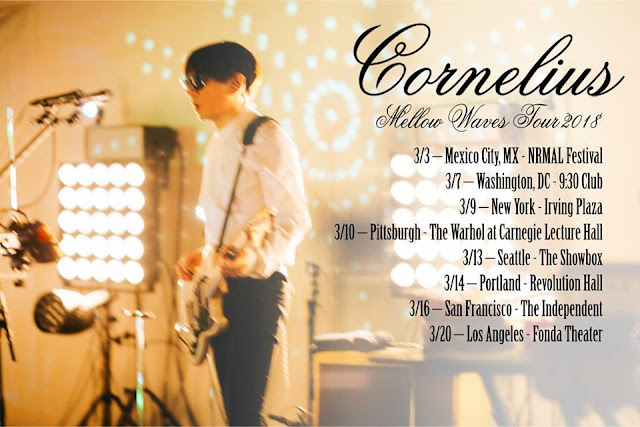 Japanese electronic music artist Cornelius (コーネリアス) to play in Pittsburgh in March. Beginning with his 1997 release Fantasma on Matador Records, Cornelius (the name is an homage to the Planet of the Apes) gained much critical praise as the “modern day Brian Wilson” for his lush orchestral/pop arrangements and quickly became an in-demand producer working with artists such as Beck, Bloc Party, and MGMT. Oyamada’s forays into scoring films include Scott Pilgrim vs. the World and the anime mega-film Ghost in the Shell Arise, as well as being a key performer in Yoko Ono’s reformed Plastic Ono Band. Tickets for this Sound Series event are currently available online for $25 for adults or $20 for students and museum members.